The IotD has had a lot of Earth at Night shots over the years. 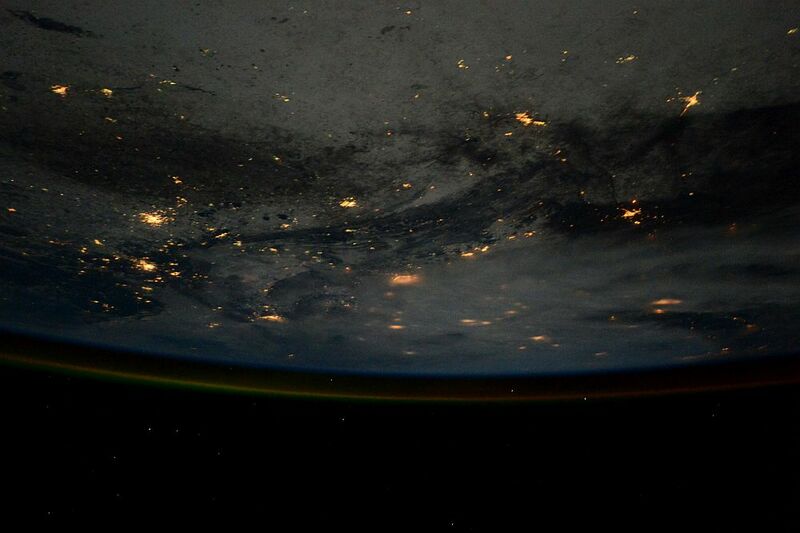 Here's one taken by Italian astronaut Samantha Cristoforetti, who is on board the International Space Station. Hahaha. I just spent a ridiculous amount of time (okay; nearly 10 minutes anyway) squinting at the light patterns and trying to compare them to various parts of a map of Australia, twisting and turning the latter, attempting to figure out how you derived that. Until I finally clued in to the obvious. Yes indeed. Must be Australia. But in the ISS, there is no up, no down, only round and round. I like the perspective. Reminds me of George Lucas shots from Star Wars. Hoi; I can see me house. Crikey!